Kids who recognize fast-food ads on TV are more likely to become overweight and those familiar with alcoholic commercial are more likely to drink. This is the result from two new studies from Children’s Hospital at Dartmouth-Hitchcock Medical Center. The study consist of 2,500 young people ranging from 15-20 years old about their exposure to alcohol. The researchers found that 59 % percent kids drank and 49% had engaged in binge drinking at least once the previous year. Familiar with TV advertising will give more influence to drinkers than nondrinkers and having alcohol-branded merchandise or having a favorite alcohol ad was linked to more hazardous drinking. The studies will be presented at the Pediatric Academic Societies annual meeting in Boston. Another separate studies found greater awareness of fast food commercial could linked to obesity to children. 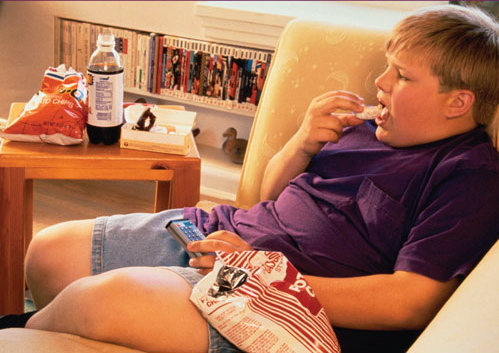 The researchers asked more than 3,300 young people ranging in age 15-23 years old about their weight, height, fast food and consumption of soda and certain lifestyle behaviors such as watching TV and snacking in front of the TV. The participants were shown 20 images from TV ads for fast food restaurants that aired within the past year but were digitally altered to conceal the brand names. The study show 18 percent of those surveyed were overweight and 15% were obese.The study show the link between fast food ads and obesity was specific.